residents. 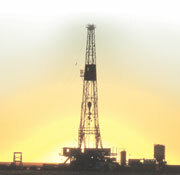 However, the largest employer in Lovington is the oil field services industry, whose workers number in the thousands. These jobs are distributed among many firms that provide essential services to the energy industry. Additionally, Lovington has a favorably disproportionate number of professional and government jobs due to its position as the seat of the Lea County government, which has a $50 million annual budget. 2009 Town Square Publications. All Rights Reserved.